The Supreme Court today refused to admit a public interest litigation which soughta direction to the Centre to frame a uniform policy to protect and preserve cattle and save them slaughtering and smuggling. The PIL stressed on a rule for a ban on transport of beef to states where slaughtering isn't allowed. “What is the need of an order like this. Sorry we don’t find any merit. We cannot direct states to frame law banning slaughter of cattle. Various orders have been passed by us in the past on measures to be adopted to prevent illegal inter-state transportation of the cattle. we think that is more than sufficient and serves the purpose”, a bench of Chief Justice J S Khehar and Justice N V Ramana told while dealing with the PIL. Sahai had referred to inconsistencies in various state laws on slaughter and transportation of cattle. He said in Tamil Nadu and Andhra Pradesh, the statutes were stringent while in neighboring Kerala, slaughter was allowed, which led to illegal inter-state smuggling of cattle. “A direction to the Centre to frame a uniform policy throughout India for protection of cattle and to preserve them for all purpose instead of slaughtering them and exporting the said cattle in market, despite the fact that we have the provisions under the Constitution ...to protect and increase our cattle”. “Some states allow the slaughter of cattle with restrictions like a 'fit-for-slaughter' certificate which may be issued depending on factors like age and gender of cattle, continued economic viability etc. Others completely ban cattle slaughter, while there is no restriction in a few states the prohibition of cow slaughter is part of the Directive Principles of State Policy under Constitution”. Several related petitions are however pending before the apex court with a bench headed by justice A K Sikri. In August last year Thirty Maharashtra-based social activists have knocked the door of the Supreme Court through senior lawyer and former Additional Solicitor General Indira Jaising seeking a lifting of ban on cattle slaughter. Significantly they have linked the issue to violation of “one’s right to choose his food”, a violation of right to live (Art 21) of the constitution and “supply of essential proteins”. The Special Leave Petition challenges the May 6 order of the Bombay High Court which upheld the ban on cow slaughter in the state under the amended Maharashtra Animals Preservation (Amendment) Act, 2015. But if it is allowed, is definitely going to have an impact on all states where cow slaughter or beef eating is banned. They have also pointed out that those who consume beef as a part of their regular diet are predominantly from the lower socio-economic strata of society, are predominantly members of SC/ST and Muslim community, and therefore the effect of restriction on access to cheap and nutritious food that is a part of their regular diet is extraordinarily intense and cannot be legally sustained. The plea of the activists from Maharashtra led by Swatija Paranjpe, which will be heard on Monday, also demands “decriminalization of food habits”. “No person can be compelled to eat what he or she does not wish to eat as an alternative source of food, since the right to eat food of one’s choice is part of the fundamental right to life guaranteed under Article 21 of the constitution (Right to life). Beef is known to contain protein which is necessary for human survival and is an affordable form of food which cannot be denied to those who wish to eat it”, said the petition. “Food habits are formed over centuries and the right to conserve food cultures is also part of Article 21”, it added. 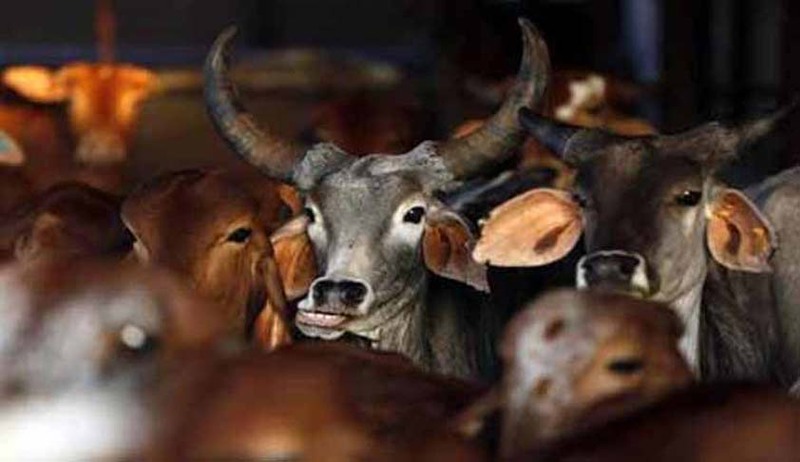 The petition has challenged the constitutional validity of Sections 5, 5A, 5B, 5C, 5D and 9A and 9B of the Maharashtra Animals Preservation (Amendment) Act, 2015 Maharashtra had passed the law banning the possession and import of been, apart from slaughter in March last year.